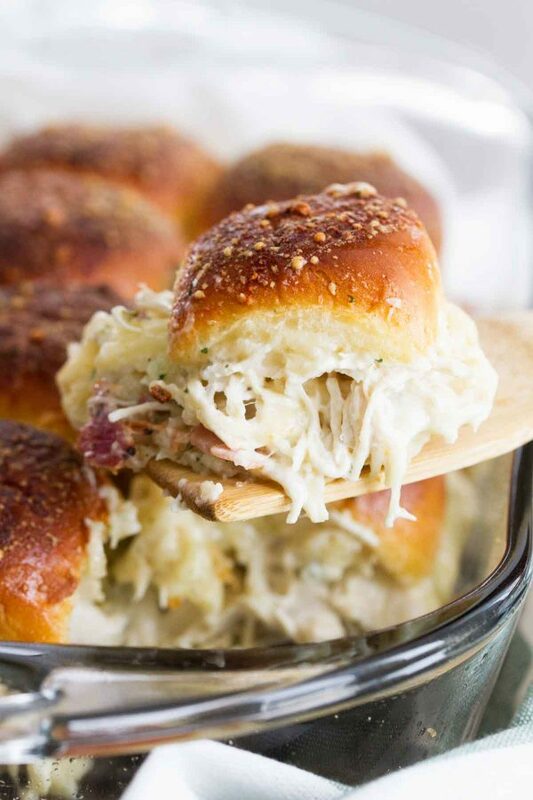 Chicken Bacon Ranch Sliders – filled with chicken, Marzetti Ranch Veggie Dip, bacon, and cheese get baked inside rolls that are topped with a buttery ranch to make these crowd pleasing sandwiches. Growing up, having sports on the tv was normal occurance. My dad played football in high school, as well as some in college. So during football season, there would often be a game on. My parents had season tickets to the local baseball tournament every August, Basketball would even make a showing on tv every now and again – especially college basketball. While I was never interested in playing them myself, I could enjoy a good game day just like the rest of them. Today, I’m the same. I’m not a diehard for a certain team, but if there is a big game, you can count me in. Mostly because I know there will be a lot of game day food there. Because let’s face it – game day food is some of the best out there. Maybe it’s because it’s normally bite-sized. Or ooey and gooey. Or super crowd friendly. But I think we all know that it’s usually irresistible. I’m always on the lookout for good game day foods. Everything from dips to wings to pigs in a blanket. But there is a new trend that has been coming on strong for the last few years that I can’t get enough of – sliders. Not just burger sliders (which I love equally as much), but baked sliders, usually filled with meats and cheeses and topped with buttery goodness. I’ve jumped on the train before, and it is a train that I don’t want to get off of. :) The thing I love the most about them is that they sub in for easy dinners as well as game day food. Double duty! Today, I’m sharing a slider recipe with you all that has one of my favorite flavor combinations – chicken, bacon and ranch. I love having cooked, shredded chicken on hand all the time for easy recipes like this one. 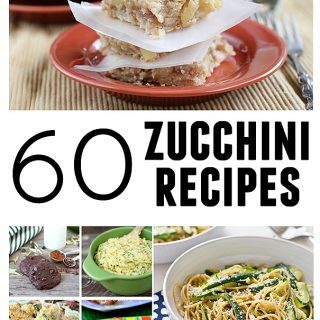 I will usually cook up a whole bunch, and freeze it in portions. But a rotisserie chicken will work just as well if you don’t have any shredded chicken on hand. 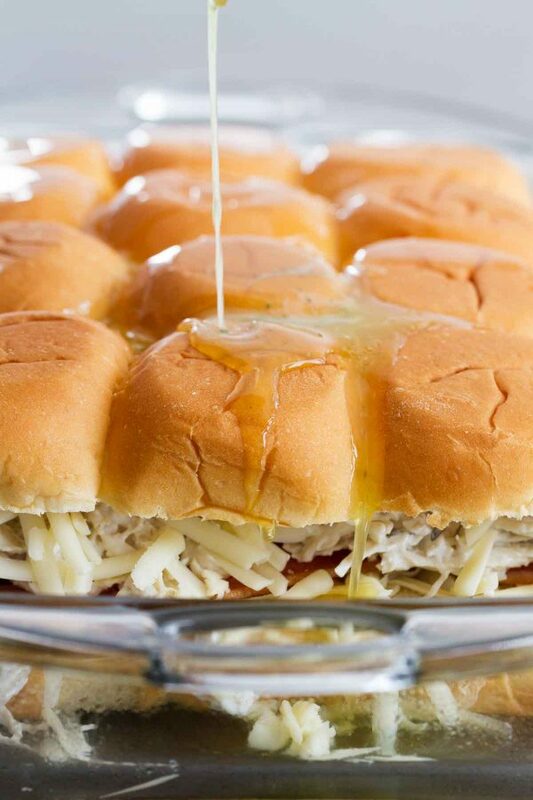 By using chicken that is already cooked ahead of time, these Chicken Bacon Ranch Sliders come together fast and easy and will be ready for game day in no time. 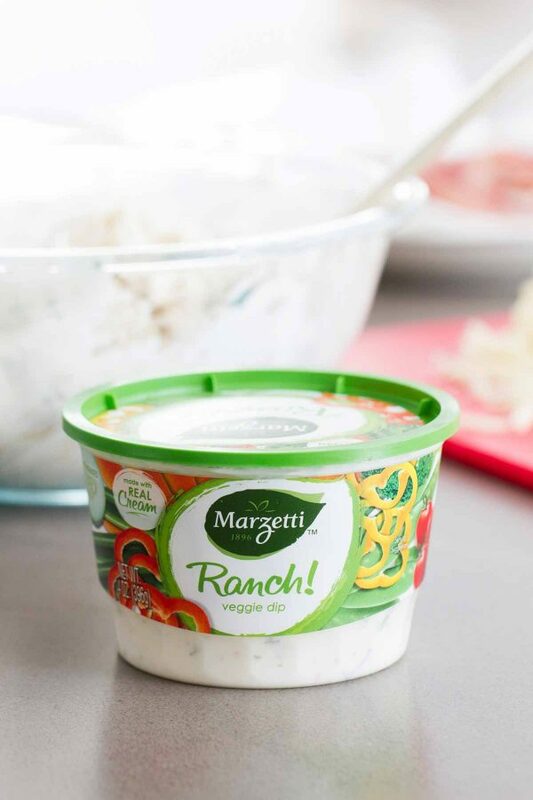 My other trick is to always have Marzetti Ranch Veggie Dip on hand at all times. Because let’s be real – even just opening up a container of their Ranch Dip for the game is acceptable because its rich, creamy texture and fresh ingredients always make it a winner. 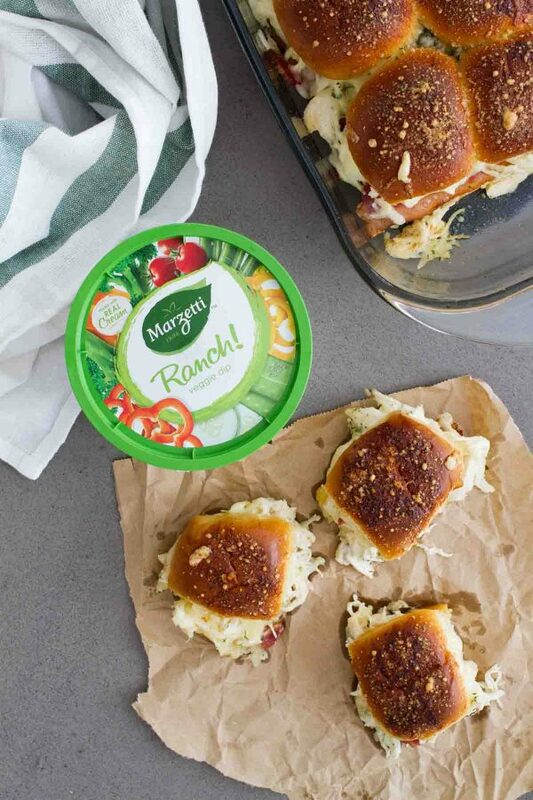 So maybe make sure you have 2 containers – one for veggie dipping while you prep these sliders, and one for the sliders themselves! 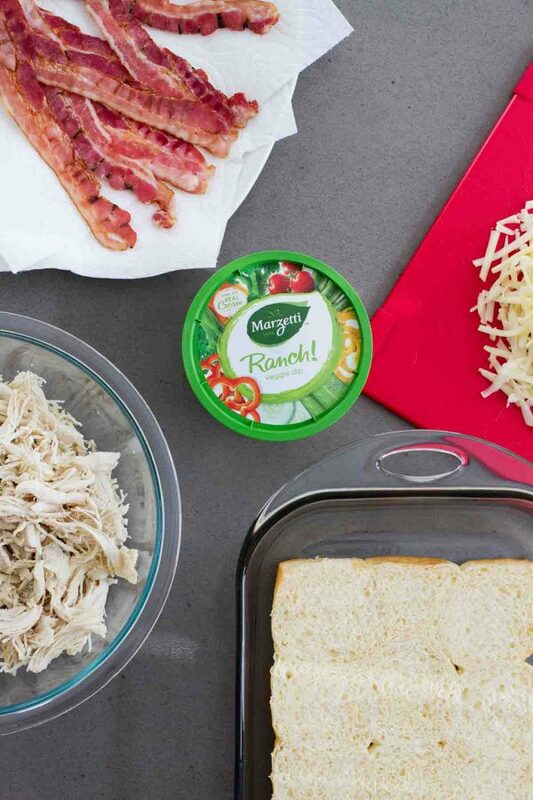 I mix some of that Ranch Veggie Dip right into the chicken to give it a punch of flavor. Then just layer on some cheese, the chicken, and some bacon. 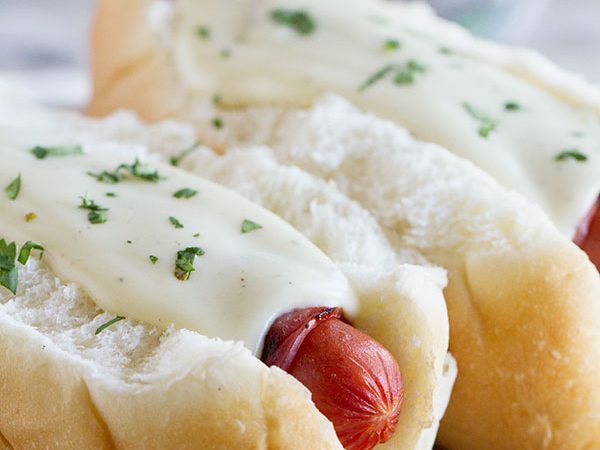 Top it all all with ranch flavored butter and a little bit of Parmesan cheese, bake them up, and you have a little sandwich that will disappear off that game table in no time at all. You’ll be the star of the party. 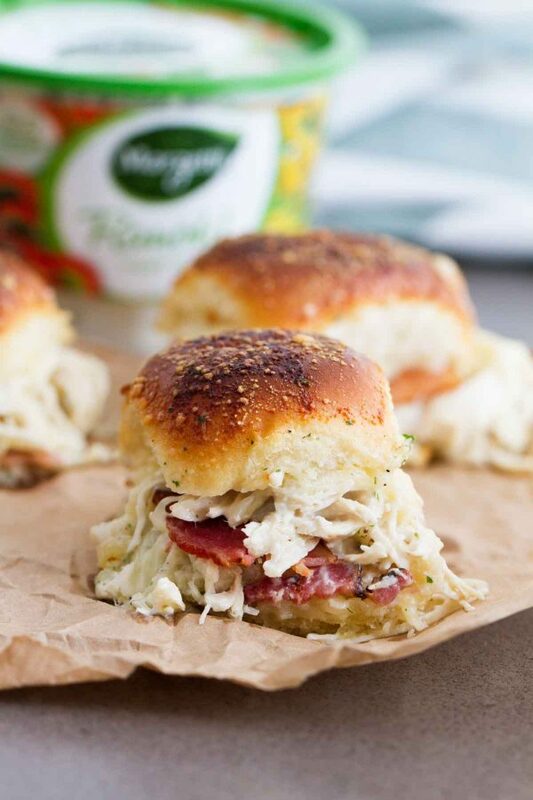 Sports lover or not – you’ll be a lover of these Chicken Bacon Ranch Sliders. 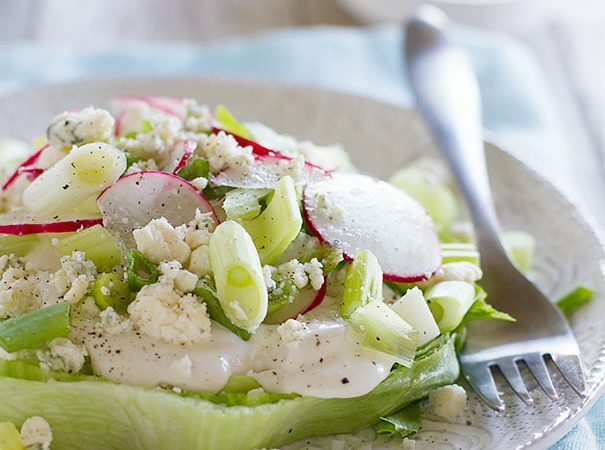 Super easy, crowd pleasing, and packed with flavor. No matter the outcome of the game, you know you’ll be a winner! 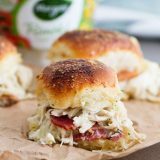 Chicken Bacon Ranch Sliders – ranch chicken, bacon, and cheese get baked inside rolls that are topped with a buttery ranch to make these crowd pleasing sandwiches. 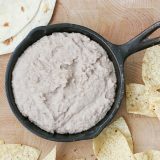 In a bowl, combine the shredded chicken and the Marzetti Ranch Veggie Dip and stir until the chicken is coated. 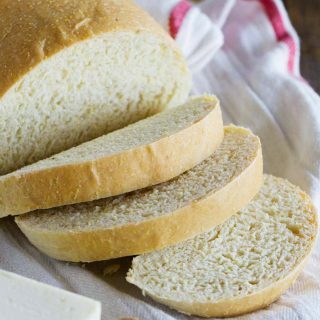 Cut the package of rolls in half horizontally. Place the bottom halves in the bottom of the baking dish. Spread 1/2 of the cheese over the bottom of the rolls. Top with the ranch chicken, then place the bacon on top of the chicken. 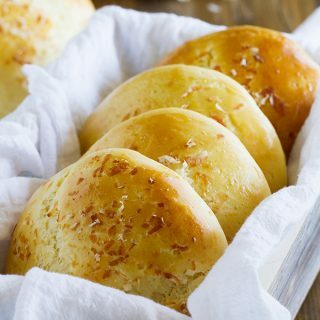 Sprinkle the remaining cheese over the top, then place the tops of the rolls over the cheese. Melt the butter in a small saucepan or in a microwave safe bowl. Stir the ranch seasoning into the butter. Pour the butter evenly over the top of the rolls. Sprinkle the Parmesan cheese on top. 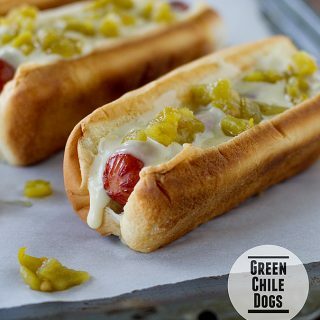 Bake in the preheated oven until the tops are browned and the cheese is melted, 15-20 minutes. Remove from the oven and cut the sliders with a sharp knife. Rotisserie chicken works well if you don’t have cooked, shredded chicken on hand. Store leftovers covered in the refrigerator for 3 to 4 days. 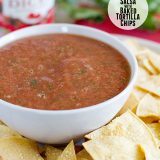 What’s NOT to love about this recipe? 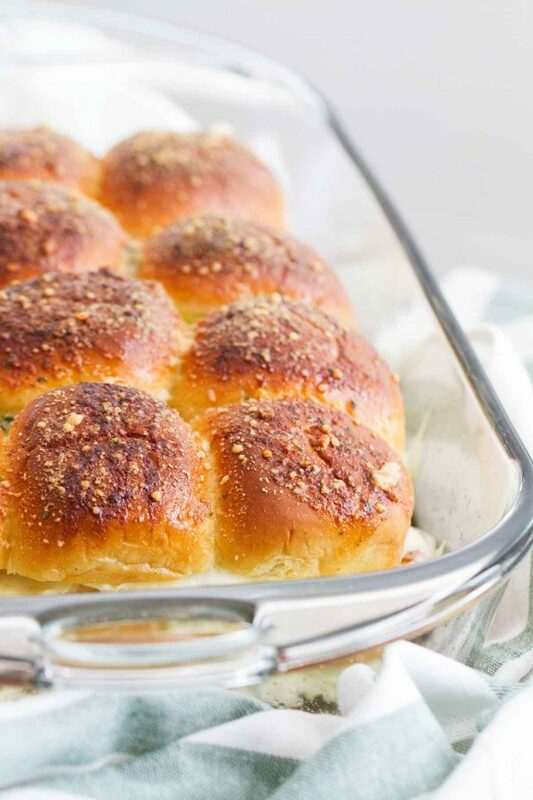 Warm, gooey sliders. Bacon. Cheese. Chicken. They’re basically any normal human’s kryptonite and I love it! 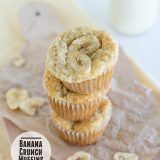 My family will love this for football day! I am going to try this with leftover turkey from Thanksgiving!